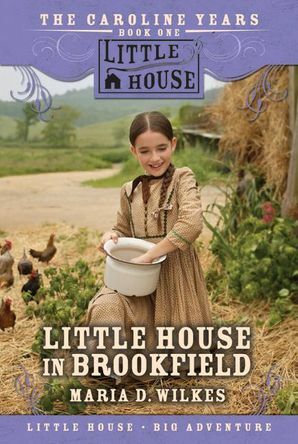 The first book in the Caroline Years series, the story of Caroline Quiner—the girl who grew up to be Ma Ingalls in the beloved Little House series. It's 1845 and Caroline lives in the bustling frontier town of Brookfield, Wisconsin. It’s been one whole year since Caroline’s father was lost at sea, and every member of her family must now pitch in to help with the farm chores. Between trips to town, getting through the first frost, and starting school, Caroline is busy discovering new things every day!